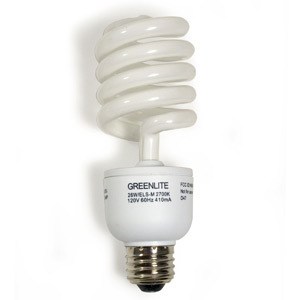 We’ve all heard the statistics: if every person in the US would replace their incandescent light bulbs with compact fluorescent (CF) bulbs, it would be the equivalent of taking dozens of gas-guzzling SUVs off the road. Less energy use, less greenhouse gas, and a happier planet. It sounds good to me, so I have replaced nearly all the bulbs in my home. And time to admire pages, white as newest snow. Of devices at my belt, my fingertips, in my kitchen. The minister of magic seven days a week.